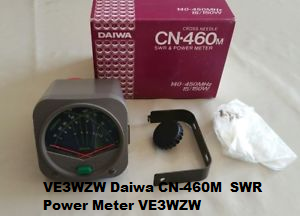 Daiwa CN-460M cross needle SWR Power Meter. #Two switchable scales – 15 to 150 watts. 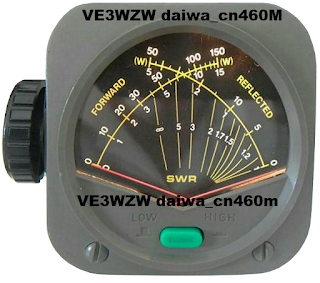 #Backlit dial if you supply 12 VDC. #Bench top or mobile mount, with the mobile mount. 140-450MHz Compact Cross Needle SWR Meter. 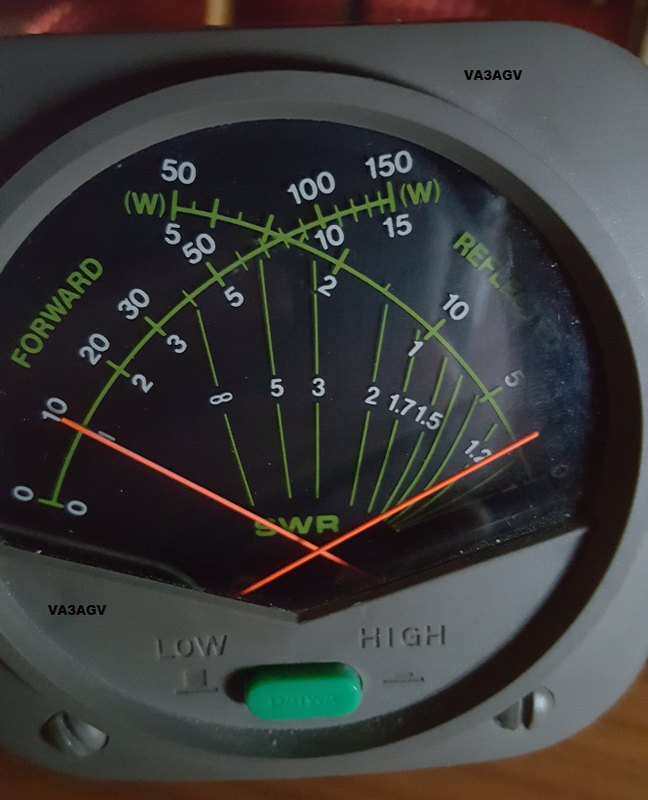 15/150 Watt ranges with illuminated meter and SO-239 connectors. 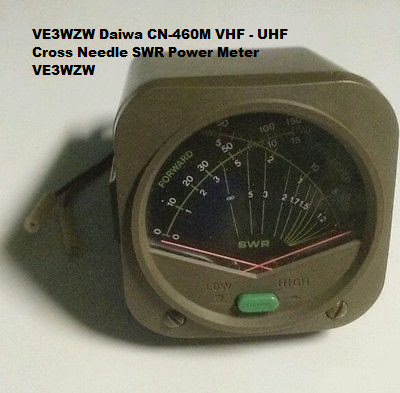 Purchased my CN460M from Atlantic Ham Radio (Now Radio World) in Ontario. 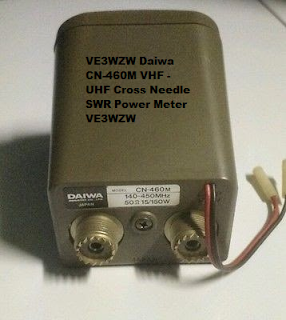 It was the first cross needle meter I had used and right away, that sold me on that type of needle movement. 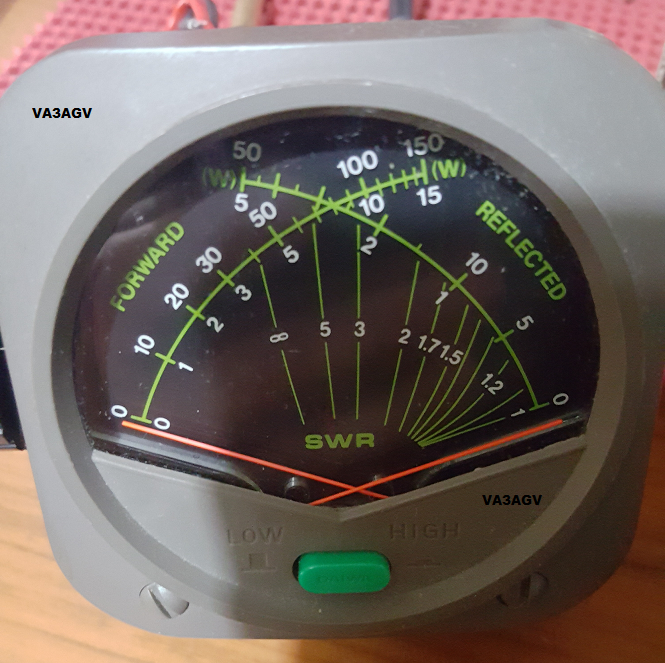 I liked the idea of a backlit display and it came with a mounting bracket as well which makes it a very stable unit when using RG-213 or similar coaxial cables. 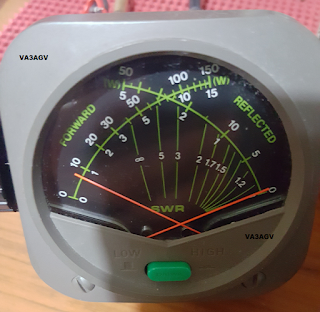 As for accuracy, it is every bit as accurate as a certifiable meter such as a Bird or Celwave which I compared it to when a member of our club was kind enough to provide when we did some antenna work at our club's repeater, he is a manager of a mobile radio shop so he had this at his disposal. 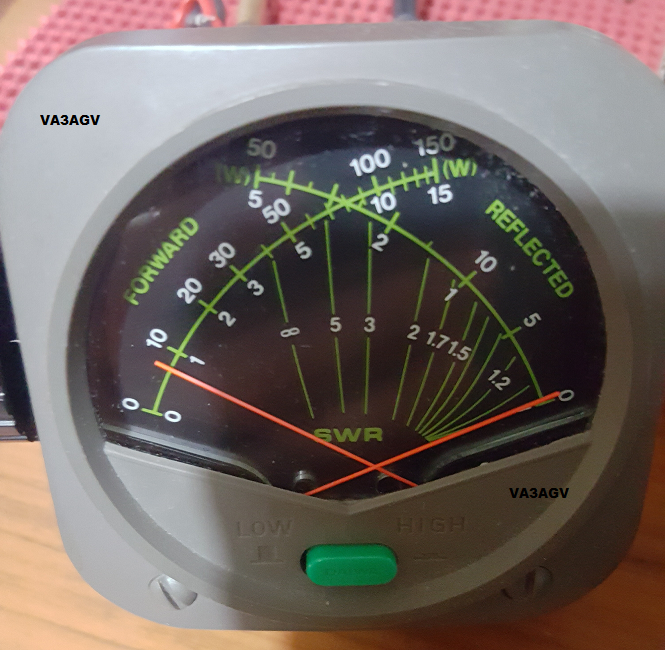 I compared it to a Celwave, not sure of the model and it was close enough to the readings on the Celwave meter, e.g 1.5:1 VSWR, the Diawa read a little lower, about 1.4:1. Not bad, at least you know that your antenna and feedline are within spec. A great meter that don't cost as much as the Birds or Celwave meters, but will give you comparable results. 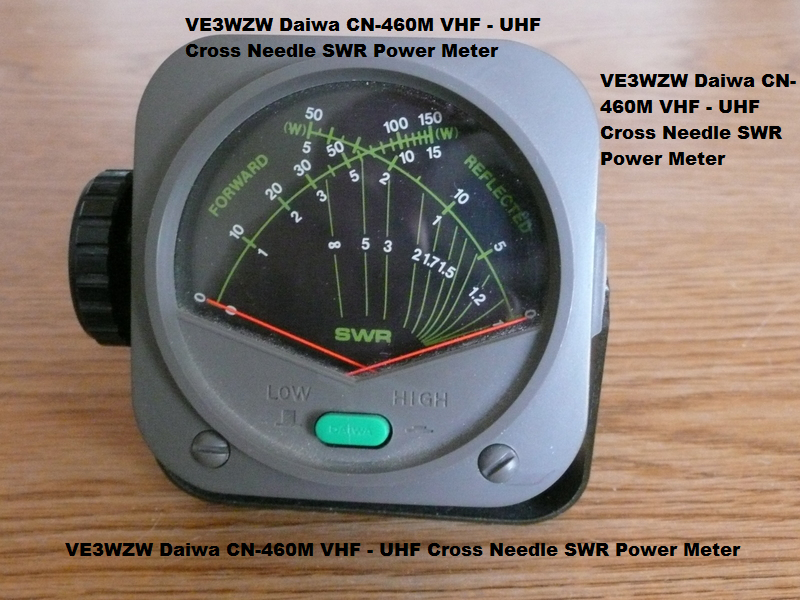 If you ever decide to sell the CN460 let me know; been looking for one for my sailboat for years!